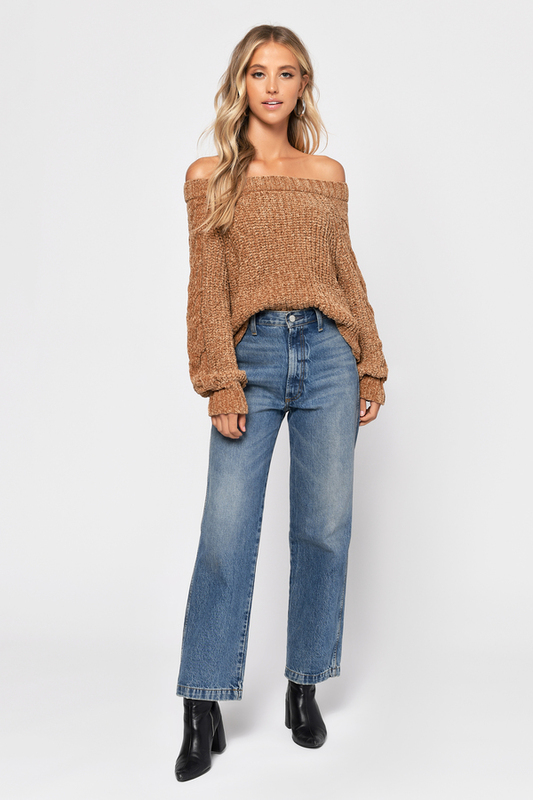 Check out Tobi's Carla Chenille Crop Sweater Have you heard about our love for chenille? Let's just say it's pretty serious. 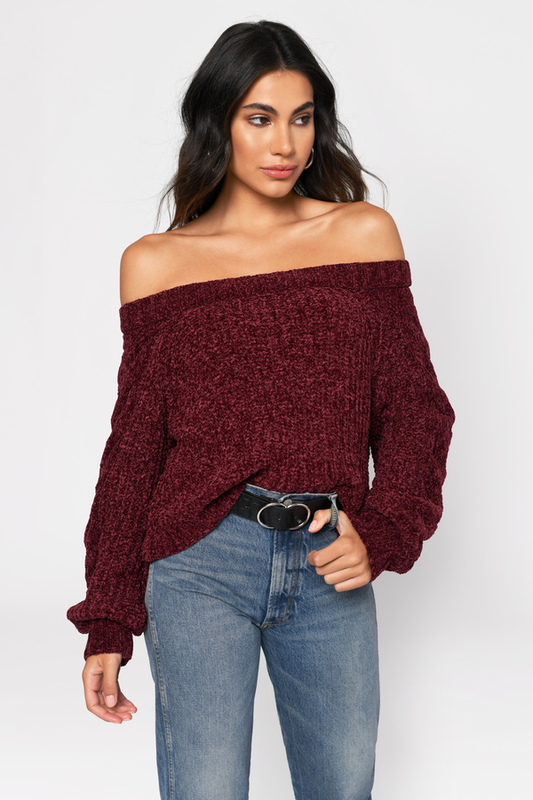 You're going to love our Carla Chenille Wine Crop Sweater for fall, featuring a boat neckline, slouchy sleeves, and a short construction on, you guessed it, gorgeous chenille. This cropped knit sweater will look fab with skinny jeans and go-to ankle booties. Have you heard about our love for chenille? Let's just say it's pretty serious. You're going to love our Carla Chenille Ivory Crop Sweater for fall, featuring a boat neckline, slouchy sleeves, and a short construction on, you guessed it, gorgeous chenille. This cropped knit sweater will look fab with skinny jeans and go-to ankle booties. Have you heard about our love for chenille? Let's just say it's pretty serious. 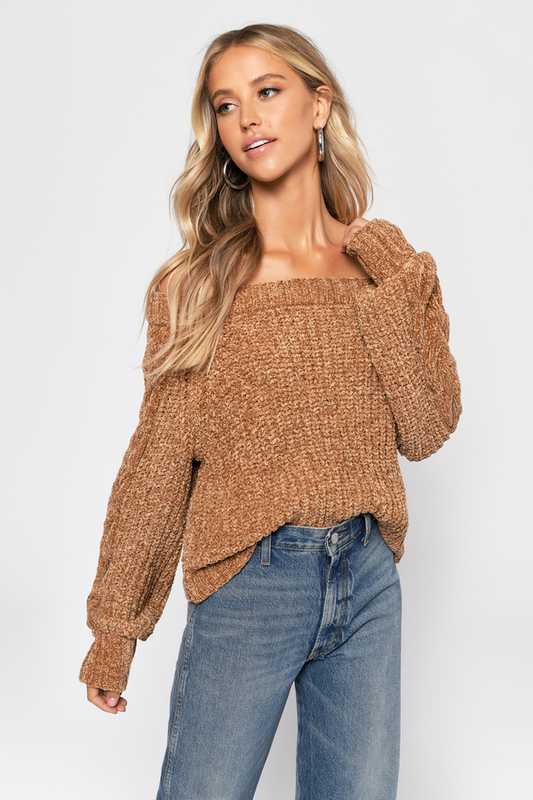 You're going to love our Carla Chenille Camel Crop Sweater for fall, featuring a boat neckline, slouchy sleeves, and a short construction on, you guessed it, gorgeous chenille. This cropped knit sweater will look fab with skinny jeans and go-to ankle booties. Have you heard about our love for chenille? Let's just say it's pretty serious. 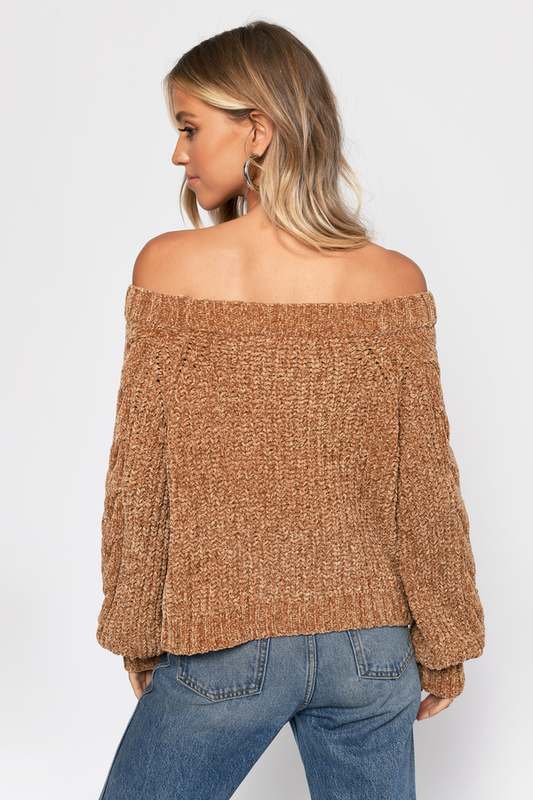 You're going to love our Carla Chenille Wine Crop Sweater for fall, featuring a boat neckline, slouchy sleeves, and a short construction on, you guessed it, gorgeous chenille. This cropped knit sweater will look fab with skinny jeans and go-to ankle booties. Camel, Wine modeled on a size Small.